Koh Rong: It’s a big island! 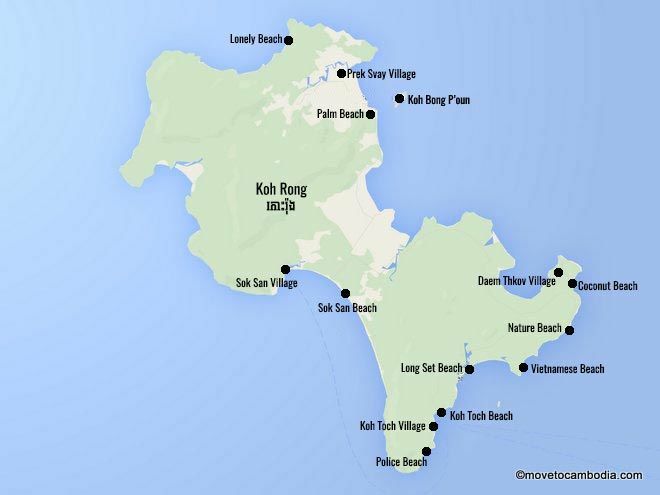 There are seven bays on Koh Rong and 28 beaches. Because the island is so big — 78 square kilometers — traveling from beach to beach isn’t necessarily easy. Longtail taxi boats can be rented when the water is calm, but getting to more distant beaches can be quite expensive. 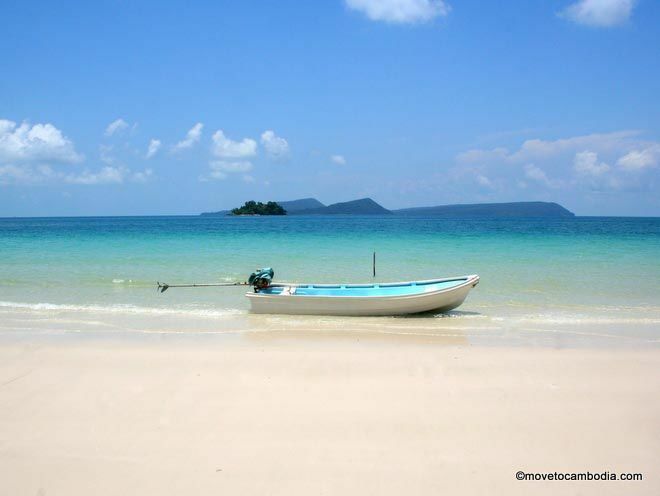 For this reason, make sure you know which beach you are headed to before you leave Sihanoukville. Many of the beaches have two different names, one the original Khmer (or an English translation of same), the other the name used by foreigners, usually referring to one of the businesses on the beach. 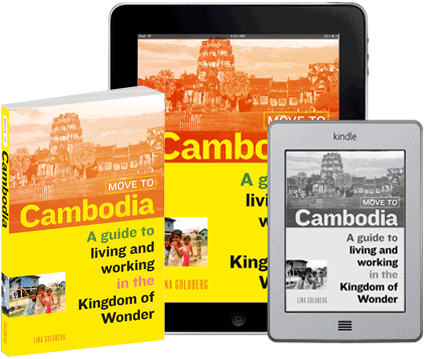 We prefer the Khmer names, because it is Cambodia, after all! Koh Toch village is known for cheap accommodation and more fun than you can handle. 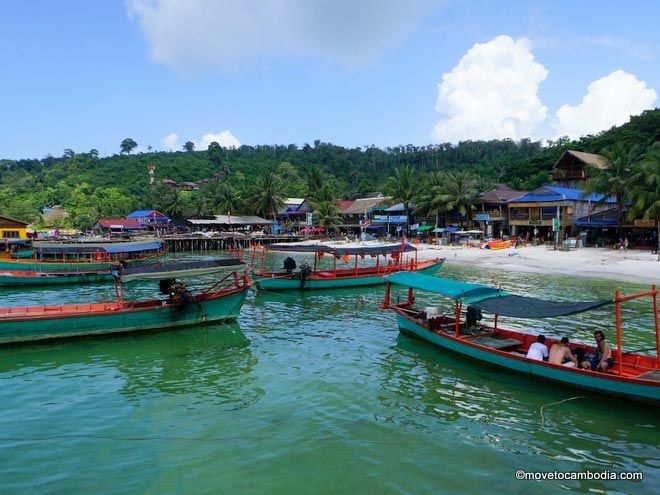 When you arrive on a speed ferry you’ll be deposited in the center of Koh Toch Village. The village is chock-full of various backpacker-style accommodation types, with more popping up every day, spreading all the way up the hill behind the village. Guesthouses and rooms can be found for less that $10, and many they offer discounts for long-term visitors. Koh Toch Village is easily the noisiest place on the island, and while it offers many opportunities to party, peace and quiet are hard to come by there, even during the low season. 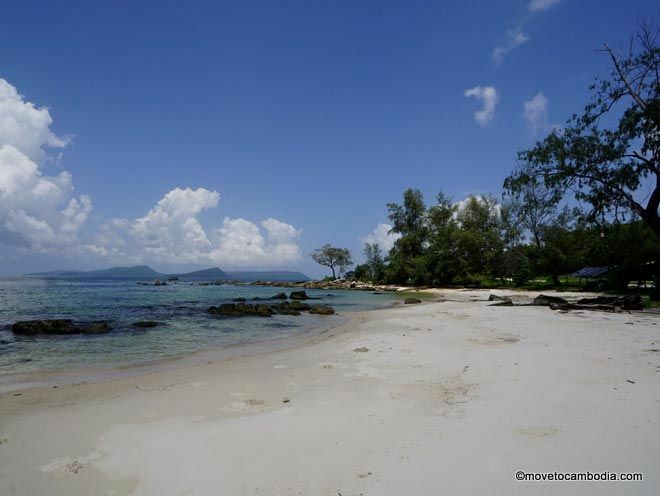 Koh Toch Beach is a beautiful white sand beach just a few minutes’ walk from the village. The accommodations are not so close together, and mostly private bungalows, so the beach is a good deal quieter and more peaceful than the village, but it’s also more expensive. Bungalows here are right on the beach, allowing visitors to step out directly on the sand, so they need waste no time between getting out of bed and stretching out on the beach. Long Set Beach: Postcards from Paradise. 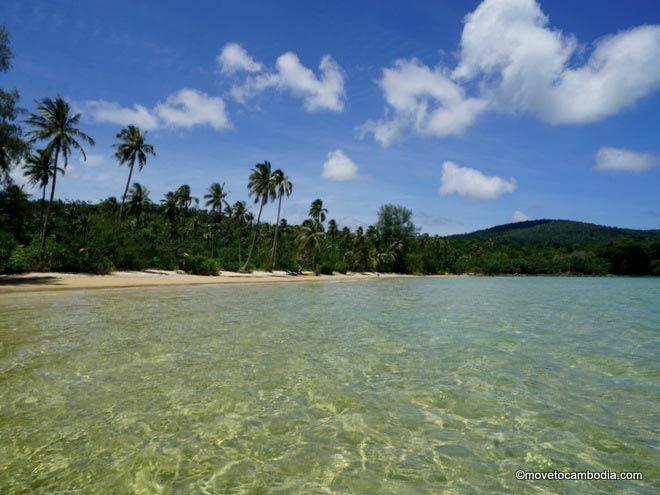 Long Set is another beautiful beach that’s an easy 30-40 minute walk from Koh Toch. It’s named after the farmer who grows cashew, mango, and coconut trees behind the beach on land bisected by a river and surrounded by lush jungle. Some businesses are now calling it 4k or 4km Beach (although it’s only 3km long). At the time of writing there’s not much accommodation on Long Set, making it the most easily accessible peace and quiet on Koh Rong. It’s also got some of the only high-end accommodation on the the island, and more appears to be on the way. Locals call it Vietnamese Beach or Ow Kasang, but it’s certain to be renamed soon. This is a beautiful white sand beach that’s in the process of being turned into a backpacker paradise. It’s known for the large numbers of giant coral-colored starfish found on its shores. Sons of Beaches has a lease for the entire beach and at the time of writing they’re building inexpensive dorms and bungalows there. Vietnamese Beach can be reached from Long Set Beach via a 20-minute hike through the jungle, or by taxi boat from Koh Toch. Nature Beach is secluded, except when there are hundreds of day trippers there. Nature Beach (sometimes called Romduol) is a secluded white sand beach with excellent snorkeling options. It is only accessible by boats coming from Koh Toch. 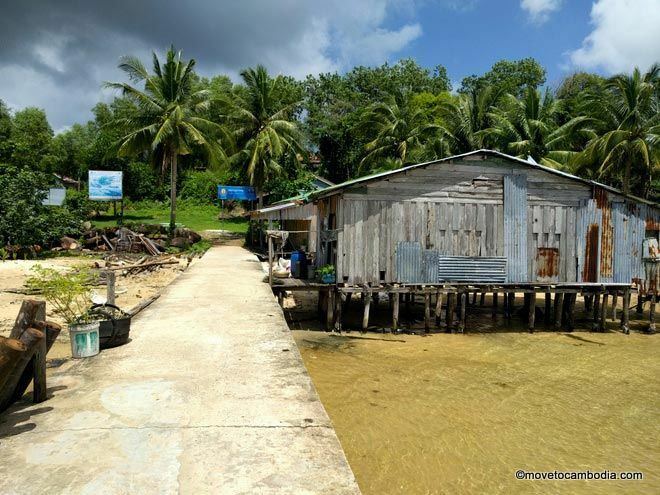 At the time of writing there is only one place to stay on Nature Beach, Romdoul Koh Rong, which offers simple bungalows and camping options with tent rentals. The downside to Nature Beach is that it’s visited daily by day-trippers — sometimes more than a hundred at a time — which seriously ruins the tranquility you might hope to find there. Nature Beach can be reached by taxi boat from Koh Toch. 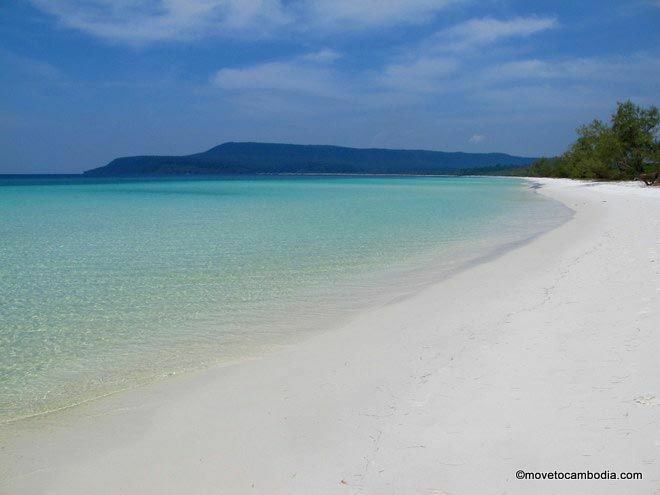 Coconut beach is a beautiful bay on the southwestern side of Koh Rong, with white sand beaches and aquamarine water. There are a handful of places to stay on Coconut Beach, including one of the swishest options on the island, Koh Rong Resort. Coconut Beach (originally called Ow Long Sour in Khmer) is quickly being developed and at time of writing several new places were being built. It’s just a 10-minute walk from nearby Daem Thkov Village. Experience village life in Daem Thkov, a small fishing village with many names. This small fishing village near Coconut beach offers a glimpse of traditional Cambodian island life. Flora and Fauna International has a base in the village, working to promote marine conservation, and Inn at the Village, a set of basic bungalows plus a dorm, gets high marks for being a socially responsible business. 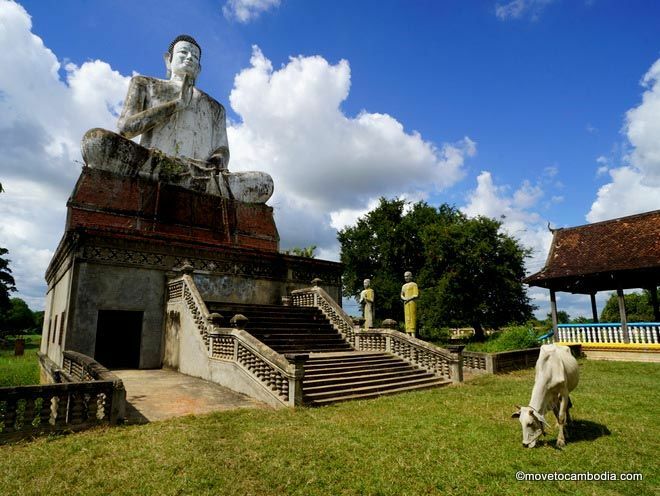 While Daem Thkov offers a very authentic experience, and great Khmer food is available there, it is home to fewer than 500 people and has very limited facilities. Despite the small size of the village, it manages to have a lot of names! Daem Thkov is the official name, but around the island it’s also called Sangkat Village (because the police are based there) and Lor Tuek Trei Village (which means ‘fish sauce factory,’ because they used to make fish sauce there, and the place stunk of it!). Prek Svay Village has been the beneficiary of the largesse of Song Saa, the $1,000-a-night resort on a nearby island, which has helped set up waste management, recycling, and composting services and facilities to provide medical care and education to the community. The resort also brings its fantastically wealthy guests to the village to see the “real Cambodia.” But you don’t need to be a guest at Song Saa to see Prek Svay, which is indeed a typical Cambodian fishing village, except that, atypically, it is also the center for marine conservation on the island, thanks to several NGOs working there. A few kilometers away is a small, secluded beach known as Palm Beach, after the resort there, and another, unnamed white sand beach further down that’s also sometimes called Palm Beach. 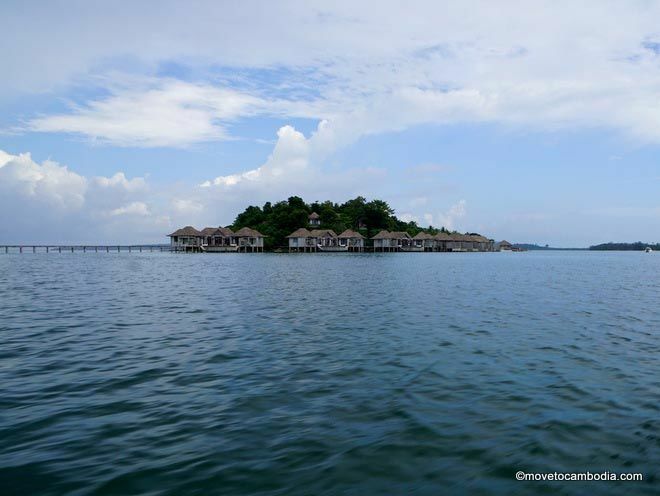 Both are accessible by a slow boat from the Sihanoukville pier that can be booked through your accommodation, or by taxi boat from elsewhere on the island. Lonely Beach, at the northernmost tip of the island, may be lonely — there’s only one accommodation option there — but because of the complete lack of development on the beach, it’s truly stunning. The isolated beach is fringed with dozens of palm trees, and at night the crystal clear water lights up with glowing bioluminescent plankton. One of the most beautiful beaches on the island, it’s accessible by a slow boat from the Sihanoukville pier that can be booked through your accommodation, or by taxi boat from elsewhere on the island. Sok San is a small fishing village at the northernmost tip of Long Beach, near Sok San Beach. If you’re looking for an authentic Cambodian experience on Koh Rong, the villages are the place to go, and Sok San is the most conveniently situated. It’s small but it has a nice Cambodian restaurant on the pier and two sets of simple, unpretentious bungalows that offer easy access to the white sands of Long Beach. To get to Sok San Village, catch a taxi boat from Koh Toch. Sok San Beach, also known as Long Beach, is one of the most beautiful stretches of sand in Cambodia. This used to be called Sok San Beach, after the nearby fishing village, but now that it’s being developed by foreigners the miles-long stretch of white sand is being called Long Beach. With its perfect white sand beaches, swaying palm trees, and clear blue-green waters, Koh Rong’s western side is a tropical paradise, albeit one with biting sandflies. This is where the 32nd season of the Survivor television series was filmed, but surviving here is no challenge for visitors who aren’t participating in reality TV. There are direct boats from Sihanoukville for some of the guesthouses, or you can take a taxi boat from Koh Toch on the other side of the island. Named after the police station set up here, Police Beach is best known for the late-night parties that regularly take place on its sands. Revellers dance the night away to live DJs playing house and techno, and luckily the police don’t care. Police Beach is walking distance from Koh Toch Village. If you’re not loaded, you’ll only get to see Song Saa from a distance. Two tiny islands off of Koh Rong are named Koh Bong P’oun, or “the sweethearts.” These days, they’re more often called Song Saa Private Island, and if you aren’t staying at the Song Saa resort — where rooms start at $1,000 and climb as high as $5,000 in high season — the “sweethearts” won’t be anything more than a distant blur across the water from Prek Svay Village on Koh Rong. If you can afford it, however, the island has been meticulously developed, with great care given to supporting the local environment and marine life. There are daily direct ferries going to Song Saa from Sihanoukville.